Using SilkTest Workbench how can I create a Data Driven test using VB.Net which will read data from a SQL Server Database? 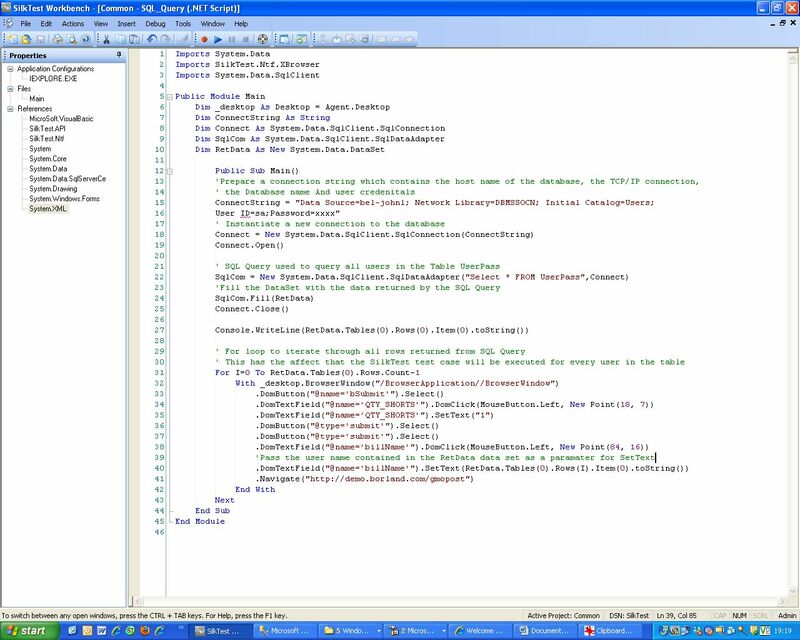 In the SilkTest Workbench you can create a VB.NET script which utilises the native VB.NET Framework in order to connect to a database, execute a query and return the output of the query. Once the data is returned it can then be passed as parameters to the various SilkTest methods in order to populate the Application under Test with dynamic data. Start | Programs | Microsoft SQL Server 200X | SQL Server Configuration Manager | SQL Network Configuration and Selecting the Database and viewing its properties. 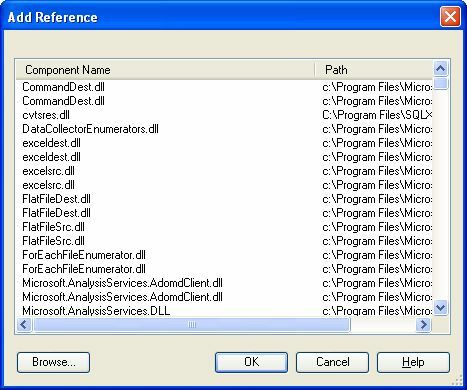 4) Add a Reference for System.XML; this DLL allows you to use the classes required for retrieving and storing the data from the database using a data set. 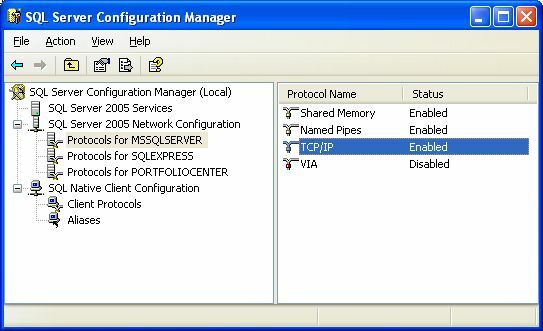 6) Use the test case shown below as an example of how to create the connection to the SQL Server database using the native VB.NET framework.